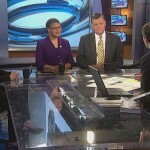 On Sunday morning, Dan appeared on This Week with George Stephanopoulos to discuss the Zimmerman verdict and if the prosecution had made a reasonable case. Dan says, “Because when you look at what the legal question here, was there reasonable doubt about the moment that George Zimmerman shot Trayvon Martin. And the question there was, did George Zimmerman reasonably believe that great bodily injury was going to be inflicted on him? And there was a lot of evidence in this case that Trayvon Martin had beaten George Zimmerman. Now what led up to that is a separate question. But the legal question is only was going on in George Zimmerman’s mind at the moment he did that, and was there reasonable doubt as to what he believed?” Watch the full episode here.